Pick the doctor to the injured patients! Hurry up.. it’s a rescue mission! 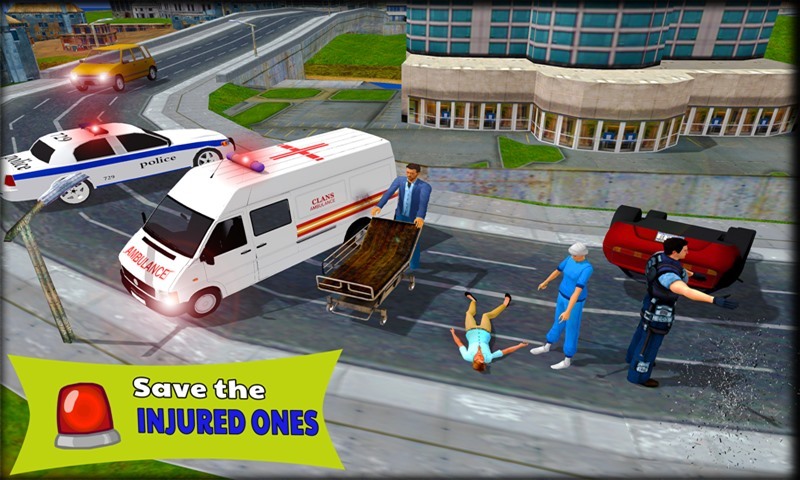 Rush your ambulance to get to the scene of accident in time. Drive FAST around the city safely and provide first aid .911 Alert it's an emergency , turn on the sirens and push the throttle! Look out for the hurdles, sharp turns and on-coming traffic. Loved ones are depending on you. Be their savior! You must be a fan of the driving games. We assume that you're crazy about rescue injured people as well. This ambulance game is what you need! 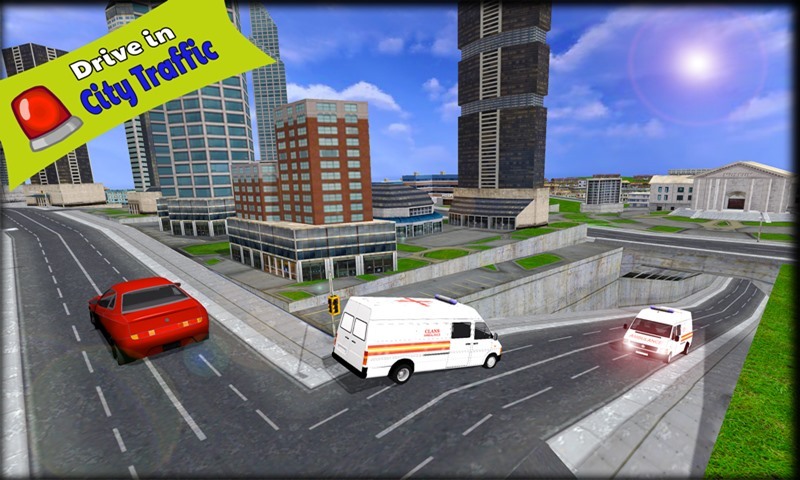 Turn on the sirens and try to become an ambulance driver in one of the best ambulance simulator 2016 game. There are many rescue missions and you must be in a state of emergency all the time.Ever wondered about the hustle and bustle of emergency medical rescue?Ambulance driver job is dangerous so be careful! 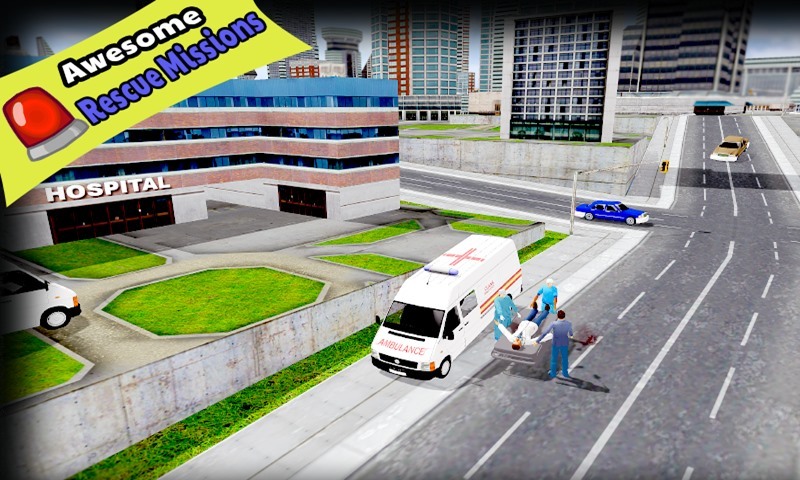 Duty driving is not that easy.Play as a rescue ambulance driver and run into those in need on curvy, hilly roads.